HERNDON, Va. -- Kate Rhoades should have started kindergarten this week. "There is a child missing," Lindsay Rhoades, Kate's mother, told ABC News. Kate died earlier this year of acute lymphoblastic leukemia. For Kate, and for Lindsay, there is no first day of school. 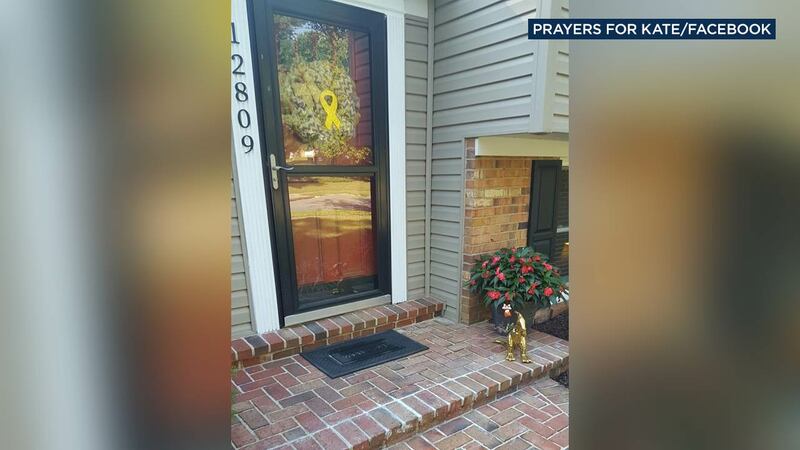 On her Facebook page, Prayers for Kate, Rhoades posted a photo of an empty doorstep outside the family home in Herndon, Virginia. It's the place where little Kate, who was 4 when she died on Jan. 12, would have posed for that first-day snap. Her mom also posted a photo of her gravesite and a photo of the school she would have attended. "I want people to see my reality," Rhoades told ABC News. "Kate was robbed of those milestones because of cancer. There's an entire elementary school of people who will never be blessed to know her." 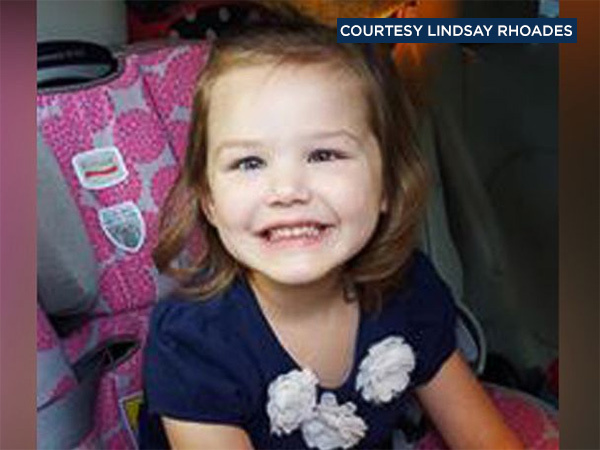 Kate had gone to preschool for four months before she died. Her mom said she loved school. "She'll always be a honeybear, but she deserved to be dragon," Rhoades said, referring to the names of the classes given at the pre-k and kindergarten levels. September is Childhood Cancer Awareness Month. Rhoades said she hopes that her post reminds people not only of Kate, whom she said she'll "never stop talking about," but of the fact that research for childhood cancer is, in her opinion, underfunded. Kate Rhoades died from a cancer relapse when she was just 4 years old. "Our government has failed kids like Kate," she said. "We're not asking for any more than our piece of the pie," she said about cancer funding. Only 4 percent of federal cancer funding is solely dedicated to childhood cancer research, according to the St. Baldrick's Foundation, an organization dedicated to funding cancer research for children. It's one of the organizations, along with Alex's Lemonade Stand Foundation, that the Rhoades family hopes people will consider donating to. "Government doesn't fund children's cancer research. It's up to parents to do it," she said. "I promised her I was going to raise hell," Rhoades said. "And if one child is saved because of my little girl, I know I'll hear her say to me, 'Mommy, I'm proud of you.'"